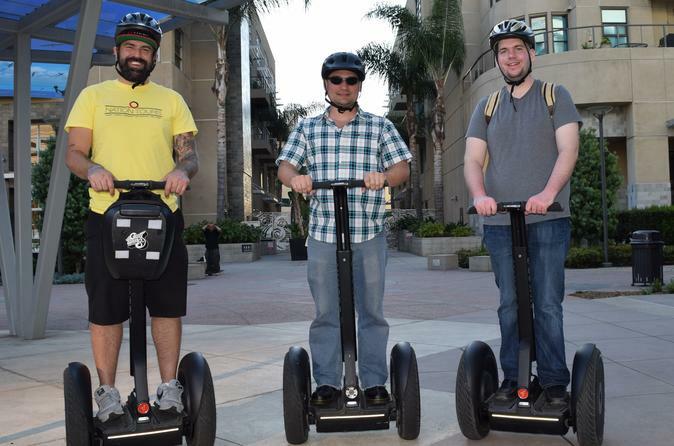 This Houston segway tour takes place in the late evening, starting at 6pm. It is the perfect idea for anyone wanting to explore downtown Houston after most of the downtown business traffic has left. Glide with your tour guide past famous landmarks, historic plazas, and unique art displays. What makes this Houston segway tour unique is its focus on the Houston Theatre District and Houston’s scenic downtown parks. Your tour will glide to Sam Houston park, where you will get incredible views of the Houston skyline, Market Square Park, Tranquility Park, Houston’s City Hall, and Herman Square. After a short break, the tour will travel through the exciting Main Street District, Houston’ Theatre District, and many of the city’s gems including the Jones Hall for Performing Arts, Wortham Theatre Center, and the home of the Houston Ballet. Throughout your tour, your local guide will also recommend great photo opportunities, places to eat, and other fun activities in the area. This segway tour is the absolute best way to experience downtown Houston.. Come see why this segway tour of Houston has become the premier activity for birthday celebrations, date nights, and for local residents looking to explore the city’s nightlife.